Outfit, New Look. 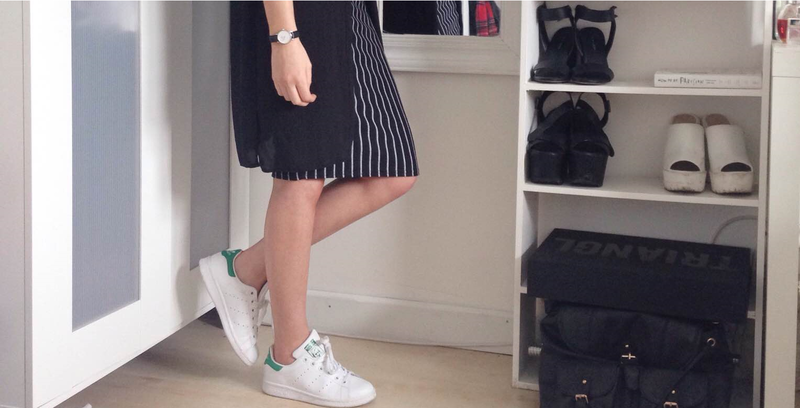 Shoes, Adidas Stan Smith and Topshop. So I was originally going to wear this outfit with my Stans but then I switched it around and opted for my Topshop shoes instead. Two reasons really, 1. I've got nasty blisters on the back of my ankles at the moment and it has been pretty painful wearing my trainers(nice fact I know). I thought they looked better without socks but boy was I wrong and caused myself a lot of agony. 2. I can't keep wearing the same shoes I guess. 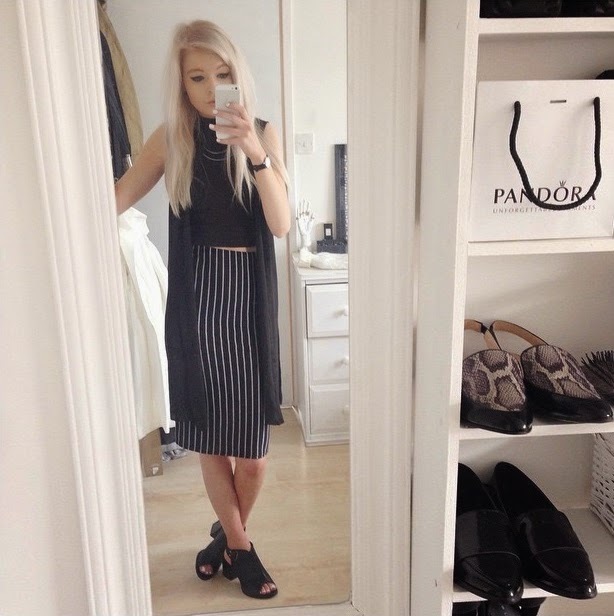 Also love this striped pencil skirt. You can always wear the same shoes! But I adore these stripes! The pencil skirt is so flattering! Lovely outfit!